With the Republican National Convention in full swing, the big players of the party came out to support their cause. Condoleezza Rice, Rand Paul, John McCain, Tim Pawlenty, Chris Christie, Mike Huckabee, Paul Ryan and (of course) Mitt Romney lead the way for the convention speeches. Even Ann Romney came out to throw in her support. One of the major problems is that they, as a political party, have rallied around a misquote by Obama that puts their whole convention into question. On July 13th, Obama was in Roanoke, VA giving a speech to support his cause for November. In a section of the speech where he was commenting on the success of American business, he talked about how successful businesses have humble beginnings. Teachers help to inspire. Somebody had to build the roads and bridges for access. Then he followed up those statements with “if you’ve got a business-you didn’t build that. Somebody else made that happen.” He continued to talk about government programs helping to create the beginnings of the internet. The thing is that if you stop right there, it is still easy to misconstrue the context. Even the internet comment falls in the realm of government support is the only way to make big things happen. “The point is, is that when we succeed, we succeed because of our individual initiative, but also because we do things together. There are some things, just like fighting fires, we don’t do on our own. I mean, imagine if everybody had their own fire service. That would be a hard way to organize fighting fires. 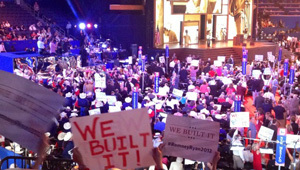 Obama’s speech was focused on a combination of individual achievement and collective support. Our nation will only be successful if great ideas are given community support, even if that means government support. It is here that the debate should have remained, and not on a misquoted sound byte. It is here where the Republican party could show legitimacy in their message. I actually agree that the government, whether federal or state, supports a number of great programs and initiatives that move our nation forward. The GOP could spend their effort talking about private enterprise being the area that needs to step up to help support the growth of the nation and move away from federal support. This would still mean the loss of many beneficial programs, but that is what Republicans believe. 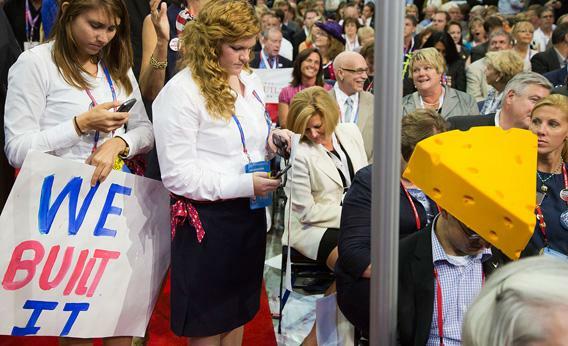 Women’s Rights: How Does the GOP Still Have Supporters?